BAM! POW! SNAP! 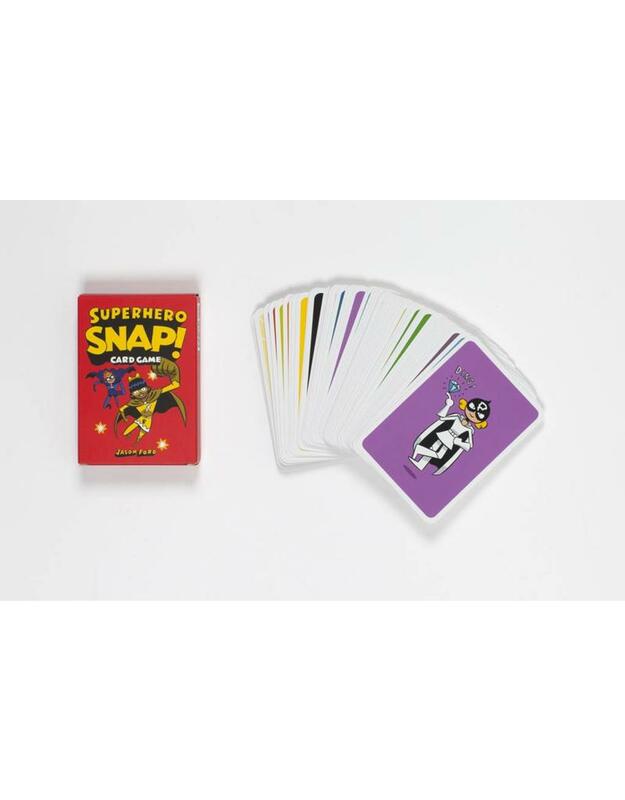 This simple and fun card game based on Jason Ford's brilliant superheroes and dastardly villains is a must for all superhero fans. With the cards divided equally and held face down, players turn over their top cards into a pile in the middle. When players turn over matching superheroes or villains, the first player to shout 'SNAP!' wins all the cards in the middle. The winner is the first player to collect all the cards. Suitable for two or more players. 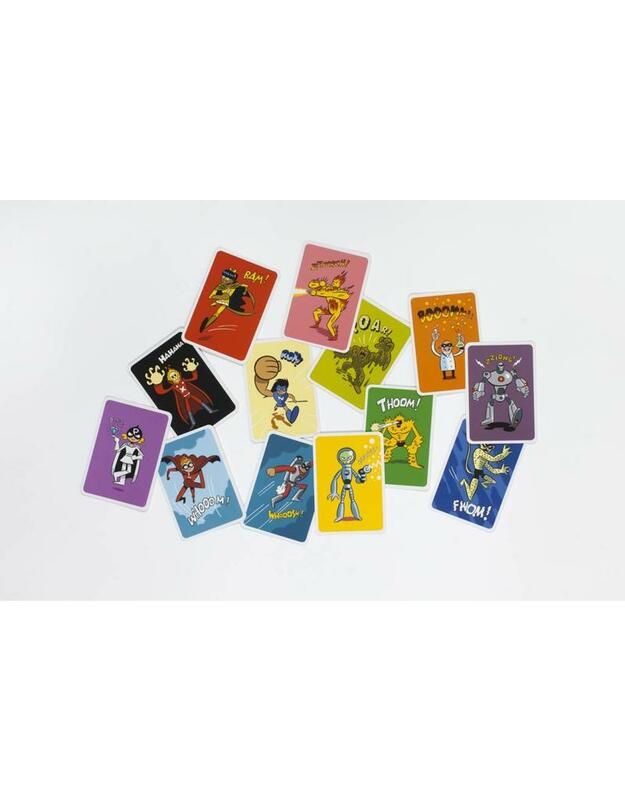 Contains fifty-two cards, featuring thirteen different superheroes and villains in matching sets of four.